Imagine yourself leaning in to your significant other for a romantic kiss and the person draws away. An awkward silence and embarrassment pervades the air. Foul breath is an instant turn off! Your bad breath could be due to an increase in odor-causing bacteria in the mouth. We all become a little edgy in terms of oral health, presuming brushing our teeth is the best solution for all mouth troubles. That said, whenever it comes to bad breath, an aromatic mouth freshener surely tops the list – an instant, flavorful and aromatic solution you would love to devour all day! 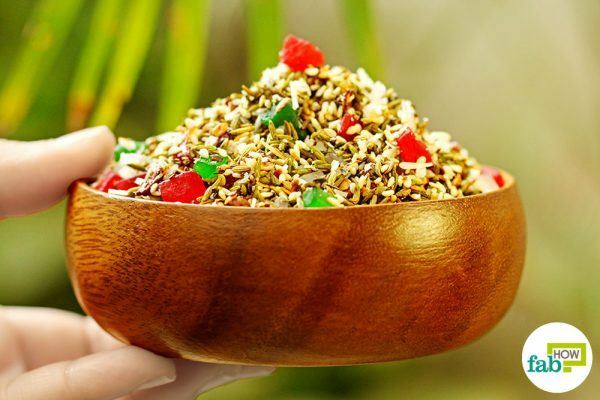 The aroma, mix of flavors, the colors and the taste – every spoonful of it is just divine! While you can easily grab breath fresheners from a local store, the high prices drive you crazy! Plus, at times, you may dislike certain ingredients in commercial mouth fresheners. So, what next? Spend a little time this Sunday and try your hand at making a DIY mouth freshener since it's very easy to make aromatic mouth freshener at home. Mixing up some of your favorite kitchen ingredients is all you need to do for a homemade, inexpensive and flavorful breath freshener. 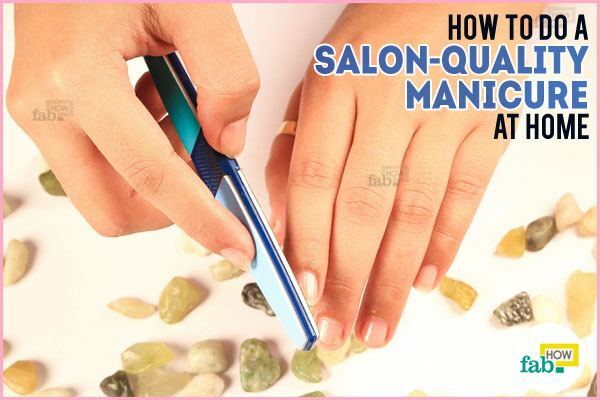 And all it takes is just 15 minutes. Fennel seeds: Aromatic and flavorful, fennel seeds are the most commonly used ingredient for mouth fresheners. Plus, the seeds contain anethole, an antibacterial compound that kills and eradicates bacteria, fungi and yeast buildup in the mouth. 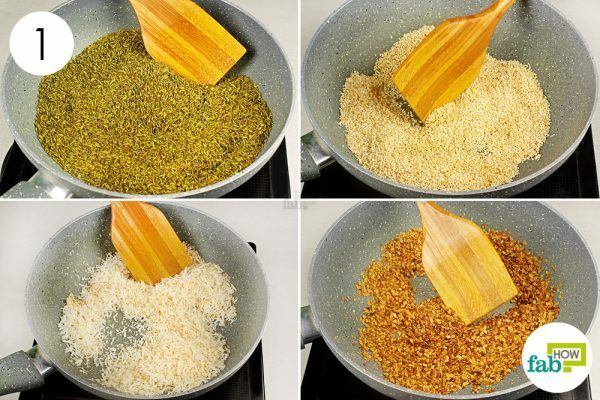 Roasted coriander seeds: Roasted coriander seeds which are locally known as dhana dal in South Asia is a warm spice that imparts a nutty, deep and intense flavor to the mouth freshener. 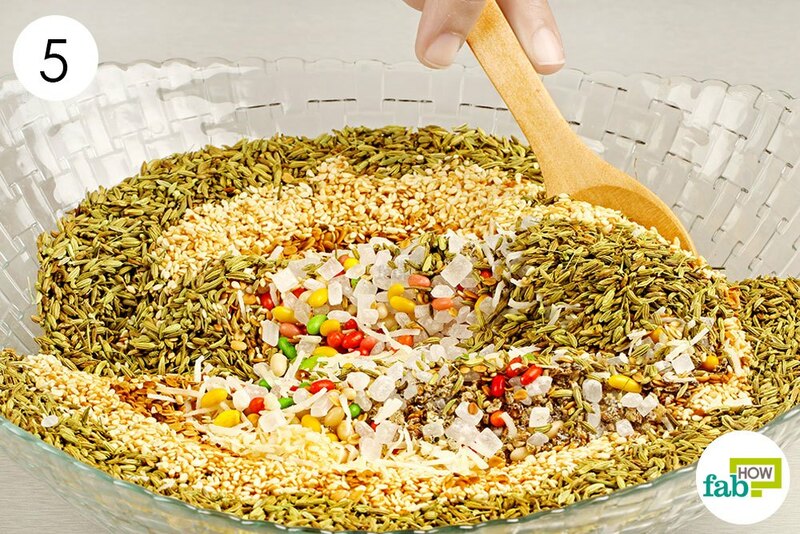 White sesame seeds: Tiny and aromatic, white sesame seeds impart an intense flavor to the mouth freshener, while also improving your digestion. Cardamom: Strong, intense, aromatic and flavorful, cardamom seeds are highly effective in fighting bad breath, while also improving digestion. 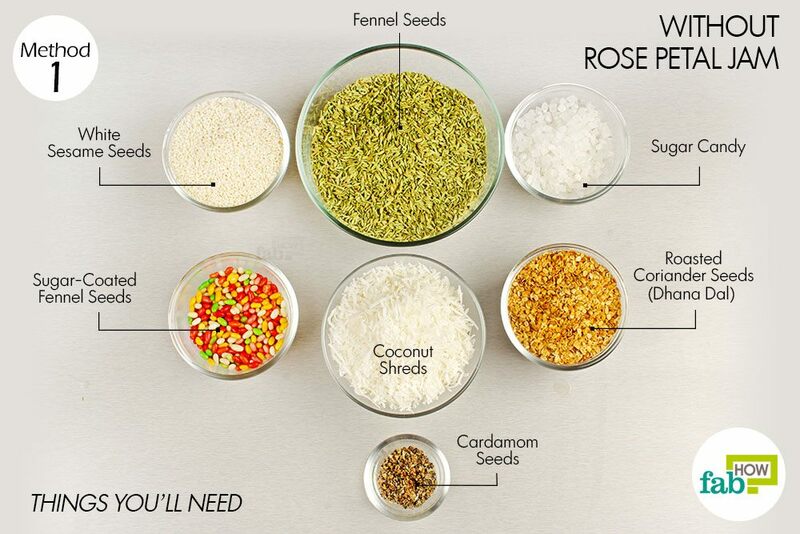 Pour 2 cups of fennel seeds into a skillet, dry roast on low heat for 5 minutes and set them aside. Dry roast ½ cups of white sesame seeds for 5 minutes. Dry roast ½ cups of coriander seeds for 2 to 3 minutes. 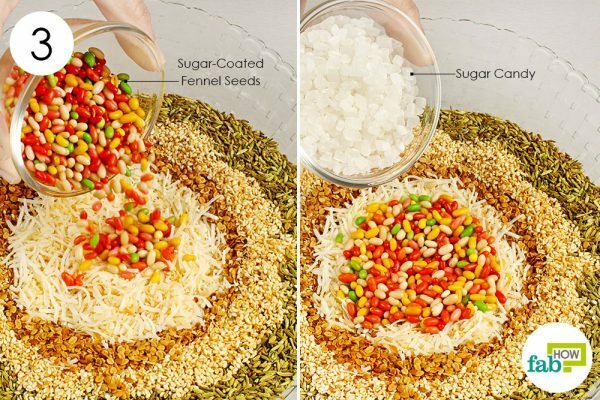 Dry roast 1 cup of shredded coconut for 5 minutes or until they turn golden brown. Put the roasted fennel seeds into a mixing bowl. Add in the roasted sesame seeds, roasted coriander seeds as well as roasted coconut shreds. Add ¼ cup of sugar-coated fennel seeds to the mix. Throw ½ cup of sugar candy into the mixture. 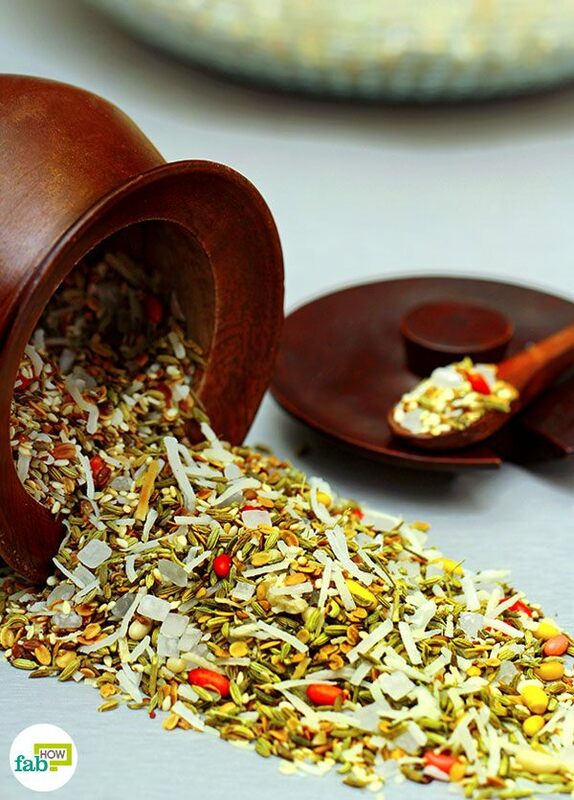 Add 2 teaspoons of crushed cardamom seeds for aroma and flavor. Store the homemade mouth freshener in an airtight container in a cool, dry place. It should last up to 3 to 4 months. Put a skillet on the stove and turn the heat on low. Pour 2 cups of fennel seeds into the skillet, dry roast them for 5 minutes and set aside. 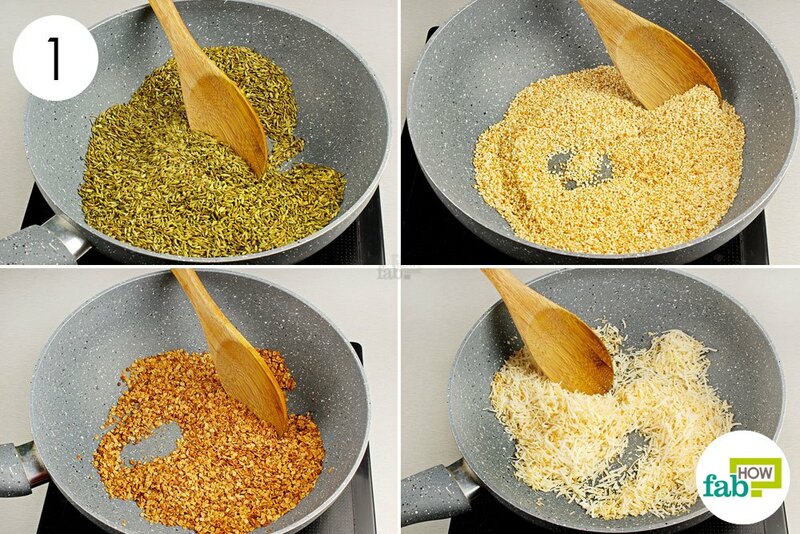 Dry roast 1 cup of white sesame seeds for 5 minutes. 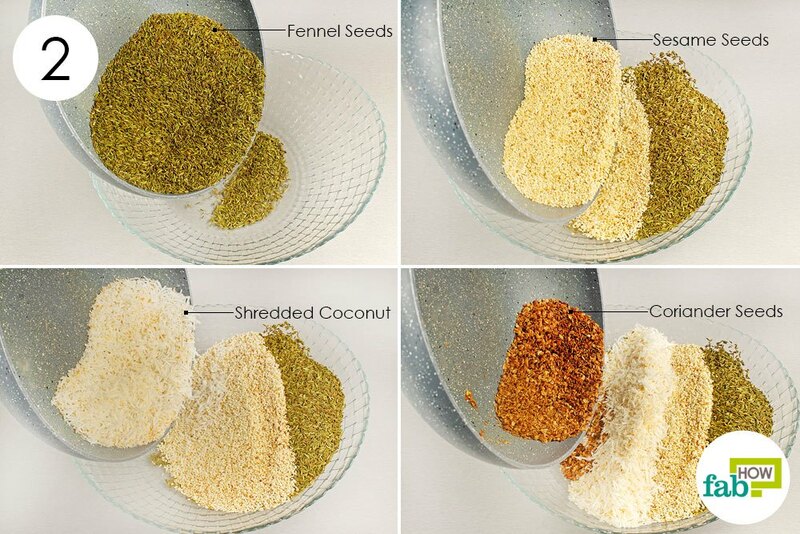 Dry roast 1 cup of shredded coconut until the color changes to light golden brown. 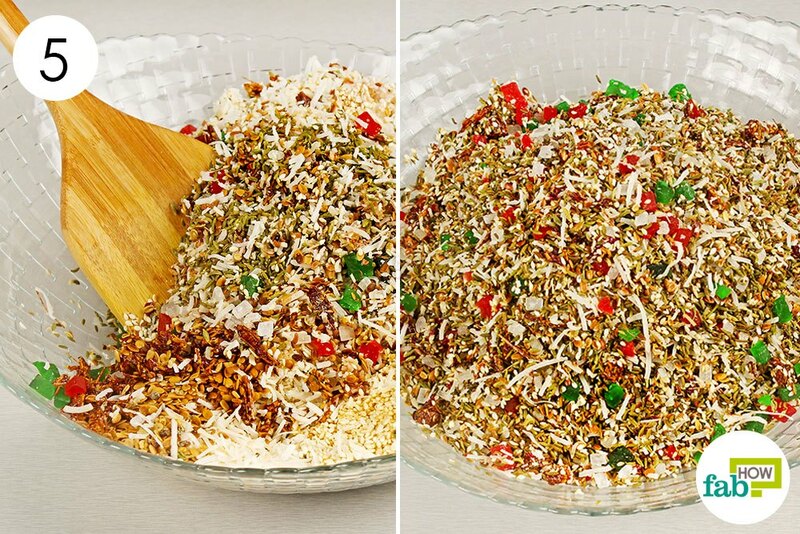 Add in the roasted sesame seeds, roasted coconut shreds as well as roasted coriander seeds. Fuse ¼ cup of flavored and shredded betel nut chunks into the mixture. It is time for the sugar candy. Add ½ cup to the mixture. 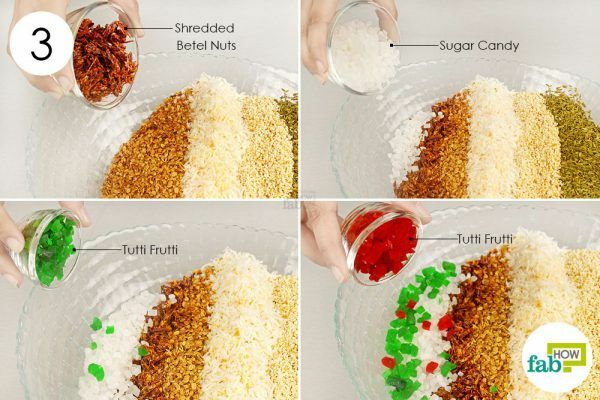 Blend in 4 tablespoons of tutti frutti. 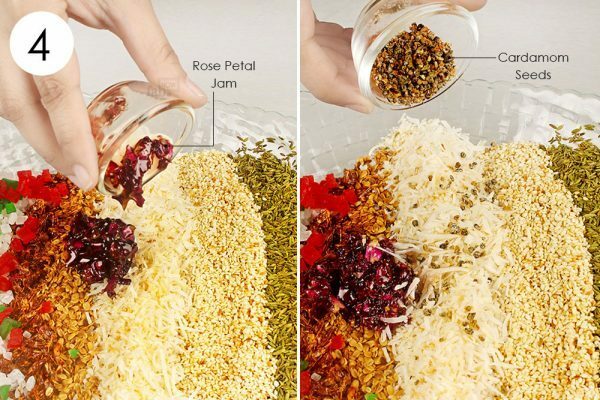 Infuse 1½ tablespoons of rose petal jam or gulkand into the mixture. 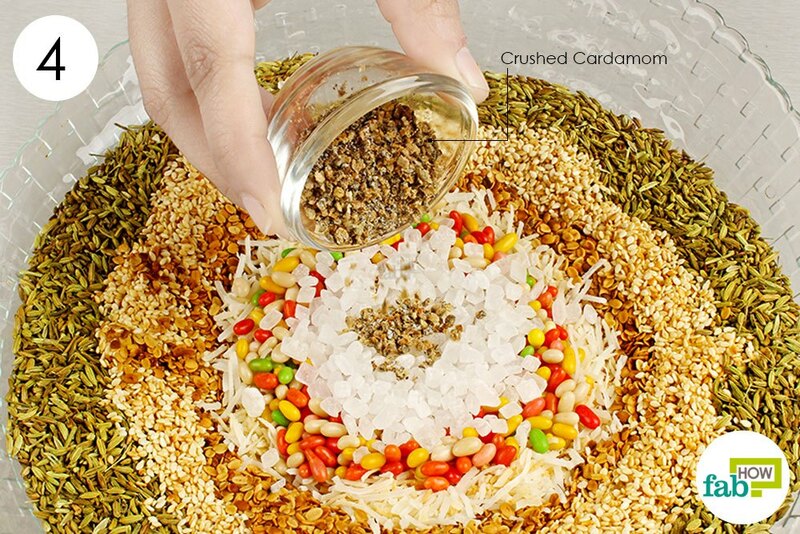 Add 2 teaspoons of crushed cardamom seeds. Store the delicious homemade mouth freshener in an airtight container in a cool, dry place. It should last up to 3 to 4 months. Munch on 1 to 2 teaspoons of this tasty and aromatic mouth freshener after a meal or anytime you want to freshen your breath. 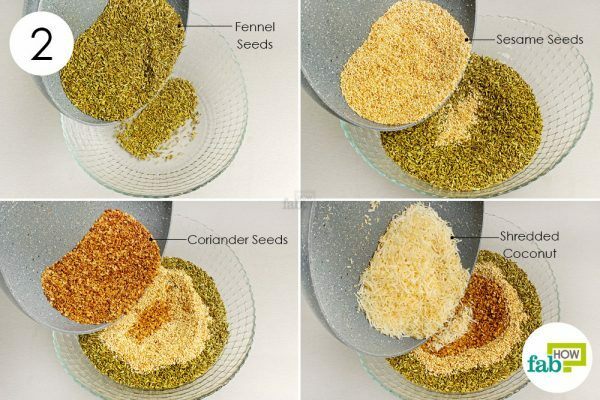 The quantities mentioned above can be altered as per your taste and preference. Store the mouth freshener in an airtight container to prevent moisture from seeping in and altering the ingredients. Always dry roast on low heat to prevent burning the seeds. 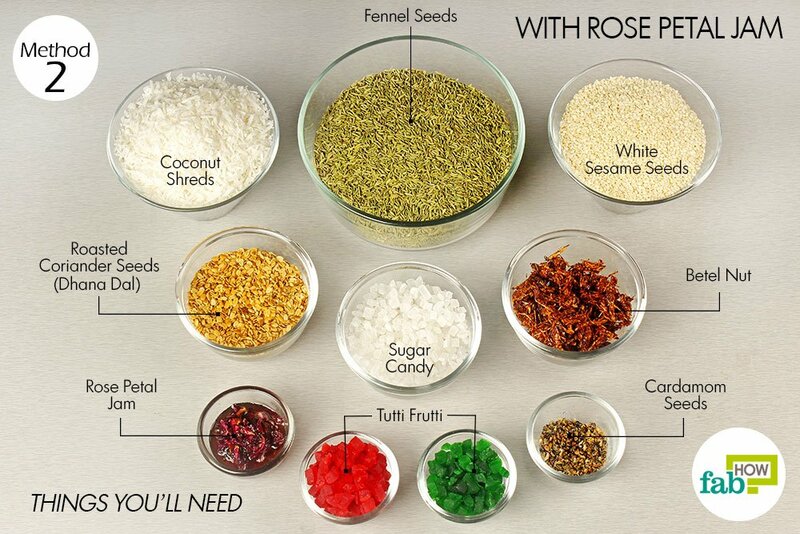 If you are diabetic, you may either reduce or skip the sugar candy, flavored and coated fennel seeds, and rose petal jam. 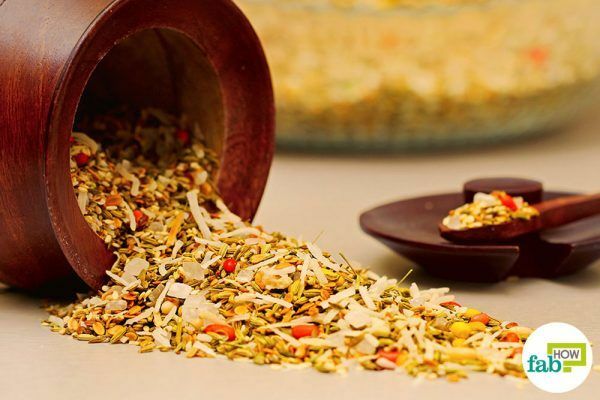 These mixtures are high in iron and helpful for digestive troubles, especially if made with the homemade rose petal jam or gulkand. Avoid sulfur-rich foods like garlic and onion at night, especially if you are to have some close encounters (such as going on a date). Do not eat protein-rich food at night, as anaerobic bacteria thrive on the leftover protein in the mouth while you sleep.